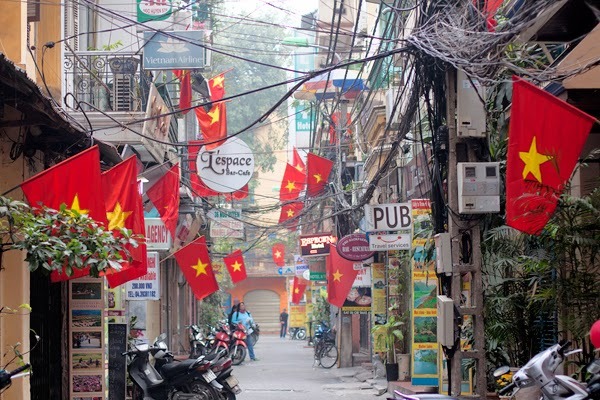 "The capital and second largest city in Vietnam is Hanoi. It features a fascinating blend of Eastern and Western cultures with a great deal of Chinese influence from the centuries that Vietnam was dominated by China. It still features architecture from the 1970�s and 1980�s as well as French designed structures from its colonial past. With the vast modernization and urbanization that the city has been undergoing, it is now one of the most targeted shopping destination in the tourist industry." Hanoi - is the beautiful capital strategically lies at the centre of the triangular basin of the Red River. It has a population of four million and a more genteel style than its southern counterpart. A great place to explore on foot, there is a lot to see and do here. Hanoi has an Old Quarter with unique characters represents the eternal soul of the city. It's often called the "36 Old Streets" and there are more than 36 actual streets, each street is named for the products or service it is specialized in. The street names still reflect these specializations, although few of them remain exclusively in their original commerce. The Old Quarter is famous for its small artisans and merchants, including many silk shops. The local cuisine specialties as well as several clubs and bars can be found here also. There is a night market in the heart of the Old Quarter. Hanoi has the most large diversified museum system in Vietnam. For example there is a Museum of Fine Arts, Museum of Ethnology, Ho Chi Minh Museum, Museum of Vietnamese History are the places where many historic documents, articles, pictures, exhibits as well as art works are displayed to welcome local and international visitors. There are myriad karaoke bars, cinemas, dance clubs, bowling alleys and shopping malls. 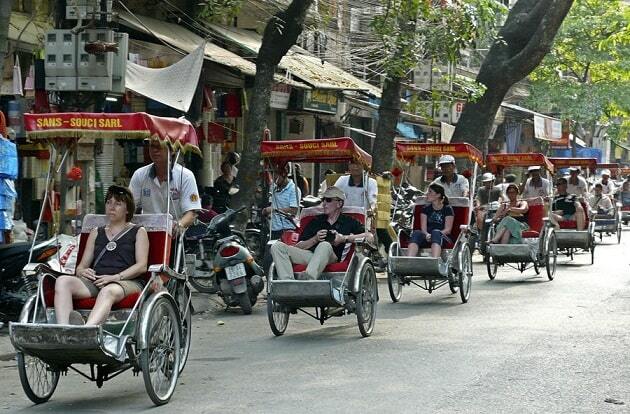 They provide tourists with numerous chances for relaxing and amusing.Hanoi is built between rivers from low land. It has many scenic lakes and is sometimes called "city of lakes." The most famous are Hoan Kiem Lake, West Lake, and Bay Mau Lake (inside the Thongnhat Park). The Hoan Kiem Lake is also known as the Sword Lake. It is the historical and cultural center of Hanoi, and is linked to the legend of the magic sword. The West Lake is a popular place for people to spend time. The West Lake is the largest lake in Hanoi and there are many temples in the area. The lakeside road is perfect for bicycling, jogging and viewing the cityscape or enjoying lotus ponds in the summer. The best way to see the beauty of a West Lake sunset is to view it from one of the many bars around the lake. Dong Xuan Market is the largest night market located in the Old Quarter of Ha Noi. It is a busy trade centre that attracts locals and foreigners. The market mainly supplies electronic products, household products, garments and fabric. Pet animals are sold along the back wall of the market. The goods in this market are transported through provinces in the north. It's therefore always crowded and bustling. Besides that, the night market has drawn more visitors to the Old Quarter in recent years. Tran Quoc Pagoda is the oldest Buddhist temple in Hanoi. It's located on a small island near the southeastern shore of the West Lake. The Tran Quoc Pagoda in Hanoi is the oldest pagoda in the city. It was originally constructed in the sixth century during the reign of Emperor Ly Nam De (from 544 until 548). So the pagoda has an age of more than 1,450 years. There is a great deal of Buddhist symbolism at the Temple. The eight-spoked wheel is the symbol of Buddhism. It represents the Noble Eight-fold Path. At the Tran Quoc Pagoda, there are many lotus flower statues. These symbolize purity of the mind, body and speech. The lotus flower also symbolizes enlightenment and achievement. The stone wall at the side of the pagoda has multiple carvings of lotus flowers in stone. The number of motorbikes in Vietnam has grown at an astonishing pace, driven by the country�s economic growth. 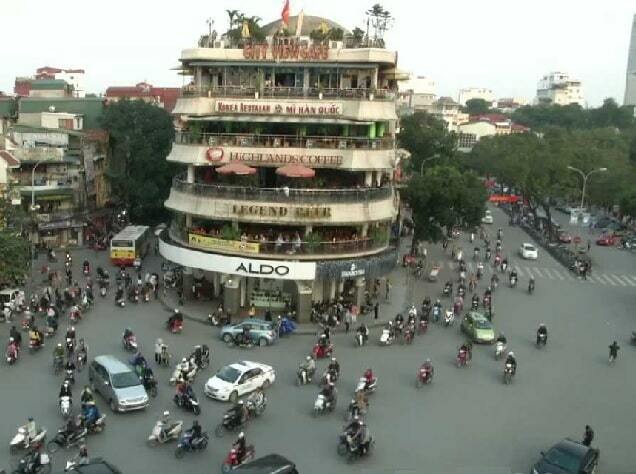 Hanoi is already a traffic nightmare. Anyone who has travelled to the capital knows, that the seemingly chaotic number of motorbikes can be quite a challenge, particularly if you try making your way around town on foot. But there is a new challenger in town: shiny new cars! Despite measures from the government in the form of very high taxes and various fees, private car ownership is on the rise. The Hoan Kiem lake is considered the center of Hanoi. It's the "Lake of the Returned Sword". The tale goes that Le Loi King came across a shining metal bar when he visited his friend. It turned out that his friend caught the bar in one of his attempts for fish. The King asked for the bar, brought it home and moulded it into a sword. All of a sudden, there was two words printed on the sword �Thuan Thien� (harmonious with heaven). Le Loi then understood that the sword was a gift from heaven. He used it for the battle against the war with a neighbouring country. At the beginning of 1428, when peace prevailed, on one of his trip to the Thuy Quan (now Hoan Kiem) Lake, there was a tortoise rising above water and shouting: �Please return the sword to the Dragon King�. Without hesitation, the King threw the sword to the lake. The tortoise took the sword and dove down the water. From then on, Thuy Quan became Hoan Kiem lake.